NEW YORK (AP) - Former Rep. Eric Massa and his tickle fights are so 2010. Eliot Spitzer? He's two governors ago. With the shirtless photo sent to a woman he was trying to woo online, Rep. Chris Lee is the latest in a string of New York politicians whose misdeeds have riveted national attention. 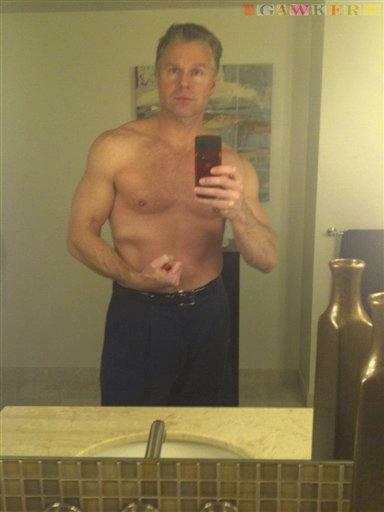 Lee, a 46-year old Republican and married father, resigned his Buffalo-area seat Thursday after the gossip website Gawker published e-mails he sent to a woman he met on Craigslist, including a photo where he is shirtless and flexing a bicep. Lee released a statement apologizing to his family and constituents for letting them down. Lee is hardly the first politician to engage in bad behavior. But many lately have come from the Empire State - from the densely packed, hyper-caffeinated New York City metropolitan area to the rural communities and industrial cities upstate.